SISTER MANTOS: COOL WORLD! Sunday March 17th!!!! COOL WORLD! Sunday March 17th!!!! 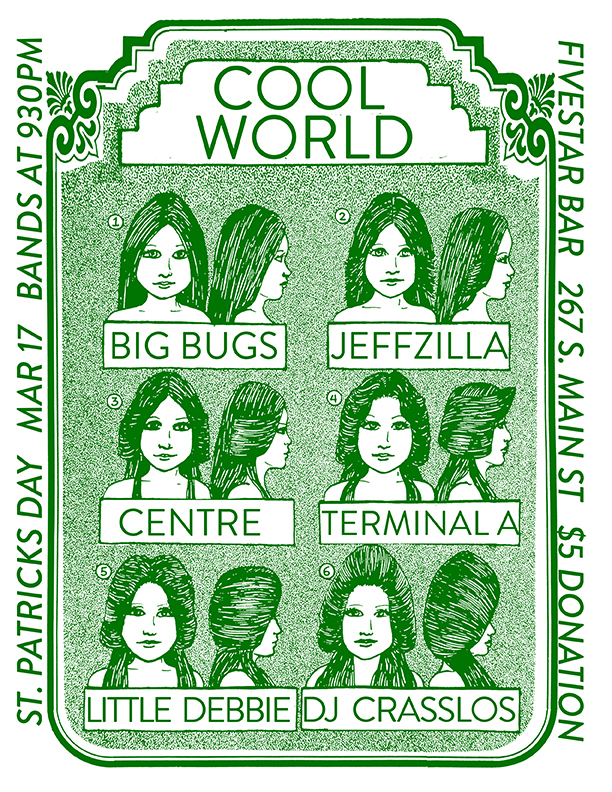 It's gonna be a St. Patrick's Day PARTEE!!! Bands start at 930pm sharp!!! serious!! !